KidTripster Editor Shellie Bailey-Shah interviewed Anne Chastain, mother of four and veteran cruiser. She and her family have been on 12 cruises together. She prefers Carnival Cruise Line because of its affordability and kid’s programs, especially for her teens. Here are Anne's 8 best hacks for saving money and getting more out of your family cruise. While it certainly is possible to book your own cruise online, travel agents often are privy to special pricing. If you establish a relationship with an agent, he/she will often alert you to killer deals. In addition, an agent will sometimes offer on-board credit as extra incentive to book. To read more about why we recommend booking with an agent, click here. For specific tips on saving money on a Disney Cruise, click here. If you plan to make cruising a family tradition, consider sticking with one cruise line. Most have frequent cruiser reward programs where you can earn perks. Anne prefers 7-day cruises for her family. She’s found that the shorter 2- to 4-day itineraries often attract a crowd of partying, 20-somethings, creating an environment less conducive to families. KidTripster Tip: Also consider sailing on a repositioning cruise. Cruise lines will offer special deals on cruises that involve moving their ships from one area to another between seasons. Know that your airfare likely will be more because you’ll be flying into one location and out of another, but it’s worth doing the math. Don’t book shore excursion through the cruise line. You can find the same activities on your own for a fraction of the cost. For example, passengers on Anne’s last cruise paid $80/person to spend the day at a beach resort. Instead, she and the family hopped took a cab to the resort and had lunch and drinks poolside for about $30 in total. 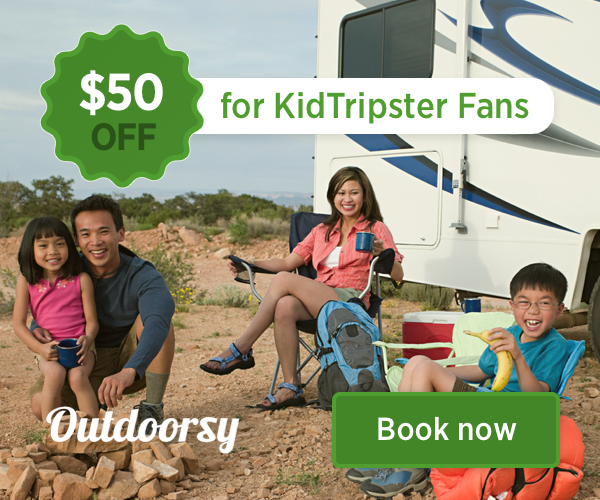 KidTripster Tip: Warning! If you’re arranging your own excursions, make sure they’re not too far from port. Allow plenty of time to return to your ship. The ship will leave without you if you're late. Need help finding port excursions. Check out Shore Trips. On Carnival, you’re allowed to bring one wine bottle in your carry-on bag. (Note: You’ll need to purchase the wine after going through airport security, preferably in port before you board.) Make sure to bring a corkscrew to open the bottle yourself before bringing it into a ship restaurant. Otherwise, the wait staff will charge you a $12 corking fee. KidTripster Tip: Each cruise line has its own rules about bringing alcohol on board. Know before you go. Anne always brings a plastic door hook (purchased at a dollar-type store) for extra hanging space. She also brings a few wire hangers because she says that there are never enough provided. For KidTripster’s packing tips for cruises, click here. Bring your own lanyard for your keycard and lanyards for other family members. It’s easier than keeping the key in your pocket. Your ship likely will sell lanyards but at a premium. Pack large plastic bags for bringing still-wet swimsuits home. And on the night before you disembark, order a couple of sandwiches, bag them, and put the bags in your cabin’s small refrigerator. That way, the kids will have something to eat while rushing to catch your plane the next day. Editor Shellie Bailey-Shah offers her own bit advice: don’t cruise with a baby who doesn’t reliably sleep through the night. Trust her, it will be your worst vacation ever!